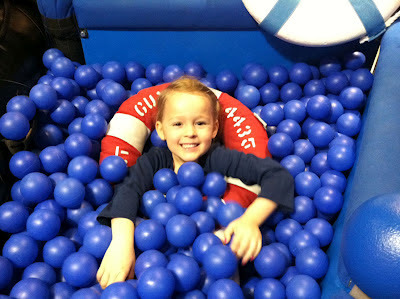 CC floats in a blue ball pit at the Zimmer Children's Museum. I'm constantly amazed by how many educational and fun places there are for children here in Los Angeles. The Zimmer Children's Museum, which we visited for the first time on Friday, is definitely one of them. We've driven by the museum, which is tucked into the lobby level of The Goldsmith Jewish Federation Center on Wilshire Boulevard's Miracle Mile, so many times over the years, but it's only now that I've realized what we've been missing. Dedicated to teaching kids -- and families, really -- about global citizenship, community responsibility and cultural sensitivity, the Zimmer has created a kid-sized neighborhood of sorts that's totally interactive and engaging. CC and I visited during a "Cupcakes for Bloggers" event, during which delicious mini cupcakes from SusieCakes were served, and my little explorer had the chance to don a firefighter's uniform, walk on a rescue boat that was used to help people during Hurricane Katrina, pretend to go grocery shopping, and make all kinds of art. In fact, CC asked why it was called a museum because, as she said, it doesn't look like one. I think for her it looked like a huge play area and a place where she was welcome to pretend all she wanted. The Zimmer offers open play with admission, but the museum also provides programs during the week, such as a sing-a-long, freeze dance, a puppet show and story time. CC pretends to buy and prepare dinner at the Zimmer. After we had checked out nearly every inch of the museum -- and after I had chatted with a few vendors I'll talk about in future posts -- it was time to head home. "Can we come back tomorrow?" CC asked in the parking lot. Absolutely! Nice way to decorate your walls. I have never done that. My effort to beautify the walls in my house was to order big-sized canvas prints from wahooart.com, from images of western art. I use the same angel motifs in all of the rooms painted by different painters, such as this one by very interesting English artist Stanley Spencer, http://EN.WahooArt.com/A55A04/w.nsf/OPRA/BRUE-8LT7K6. Buy Guild Wars 2 Gold direct from the USA at low prices. Guild Wars 2 Gold cheap price with 24/7 Customer Support. Guild wars 2 is a newer and more stimulative games than guild wars for players,supplies a new choice when buy guild wars 2 gold. cheap GW2 Gold We are the safe store of Cheap Guild Wars 2 Gold. Large bulk of GW2 Gold on all servers are always ready for sale. gw2 gold Guild Wars 2 Power Leveling is of Fast Delivery and security. Enjoy GW 2 Power Leveling.huge amount of cheap Guild Wars Gold in real stock on all servers for sale! Hi! I'm Laura Clark. I write from Los Angeles, where I find exciting stuff to do with the kiddos and then chronicle our adventures. My work also has appeared on mom.me, in Woman's Day and Variety. 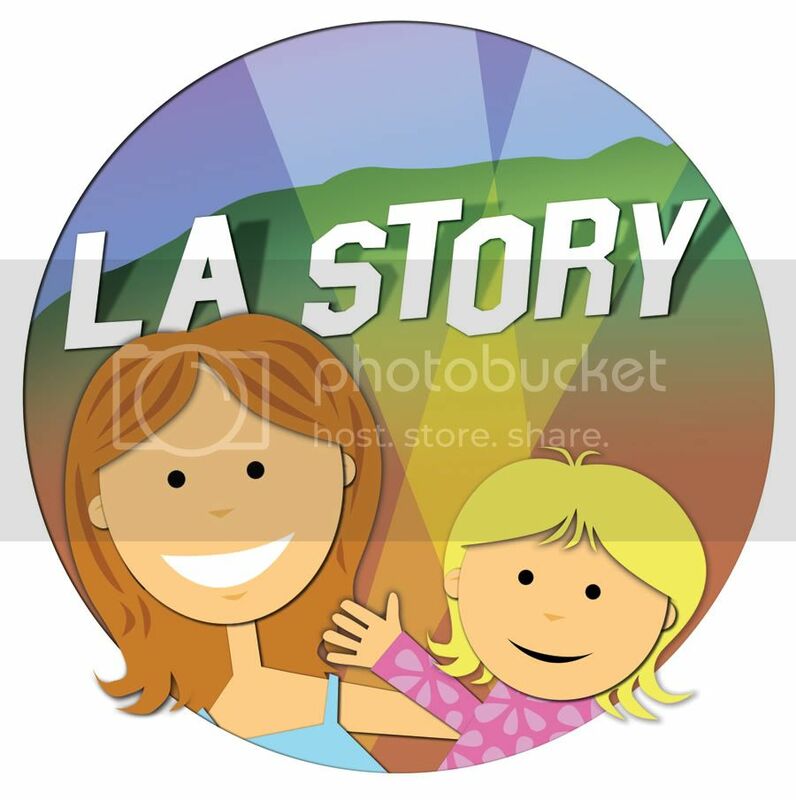 Visit L.A. Story's profile on Pinterest. Things to do in and around L.A.
Nick, Can I Steal You For a Second? 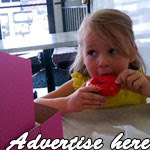 Super Bowl Commercials: Yep, We Watched Them!